Authorities are trying to determine what caused an explosion that ripped apart a transportation business in an industrial park on the outskirts of St. John's on Tuesday morning, with so much force that thousands of people could hear the explosion far away. 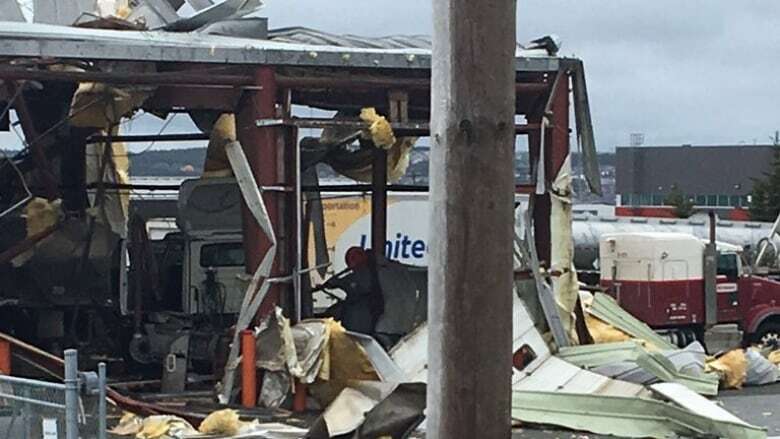 A loud boom erupted shortly after 8:30 a.m. NT when an explosion destroyed the Trimac Transportation premises on Kyle Avenue in Mount Pearl. "The roof just blew off the building, the doors blew out of the building, the siding is all buckled. It's pretty crazy," said Derek Button, who works nearby at Impact Signs. "You could see nothing but smoke and insulation and debris piling up in the air," Button told CBC News. The Royal Newfoundland Constabulary's major crimes unit is investigating the explosion. Three people were sent to hospital, and there were nine people in the building at the time, the RNC later said. 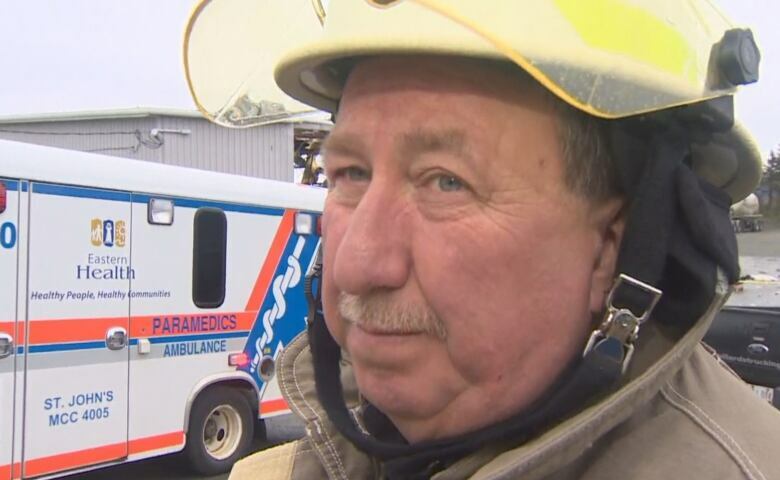 "We believe that the employees were working on a fuel tank which carried maybe gasoline or some type of petroleum product," said St. John's Regional Fire Department acting platoon Chief Scott Tilley. "It would be the fumes inside those tanks, if that's in fact the cause of this." Button said the blast "shook our building," and says things could have been much worse. "Directly behind that building is a storage facility for propane tanks, but there doesn't seem to be any fire or anything like that." People on the scene also remarked how fortunate it is that the large sheets of metal that blew off the building didn't hit those nearby propane tanks. The RNC is asking people to stay away from the area, and that traffic disruptions were expected. <a href="https://twitter.com/hashtag/nltraffic?src=hash&amp;ref_src=twsrc%5Etfw">#nltraffic</a> ok what was that huge bang in Mount Pearl? The boom shook the house!